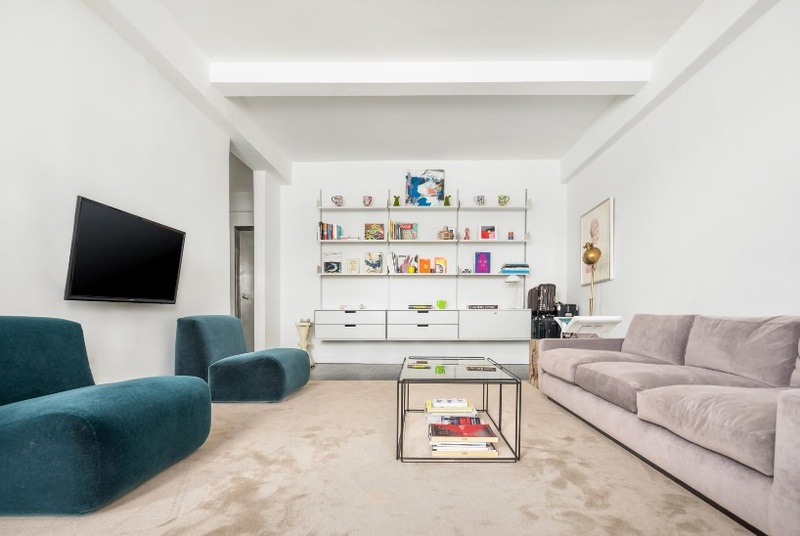 Now, with a significant PRICE IMPROVEMENT, there is a unique opportunity to own this beautifully renovated Emery Roth 1-bedroom apartment, located on a high floor in the heart of Chelsea. Five windows, including one in the kitchen, fill the apartment with great natural light facing east over the neighborhood. Views are expansive and showcase the Empire State Building. 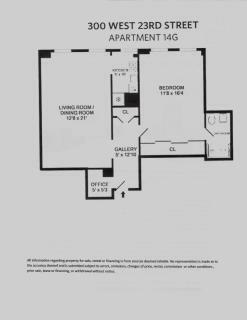 The apartments spacious layout includes a large foyer with significant closet space and a built in office alcove perfect for those looking for the ability to work at home. The living room contains a custom Vitsoe shelving system perfect for storage and display, and the dining area is situated in front of the windows looking onto the stunning Eastern facing views. 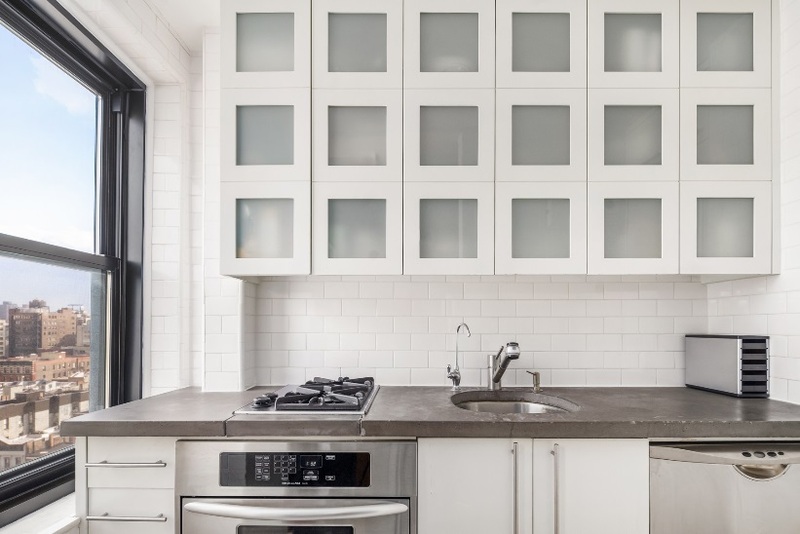 The newly renovated kitchen is sleek , modern and tastefully designed –including poured concrete countertops and state-of-the-art stainless steel appliances. 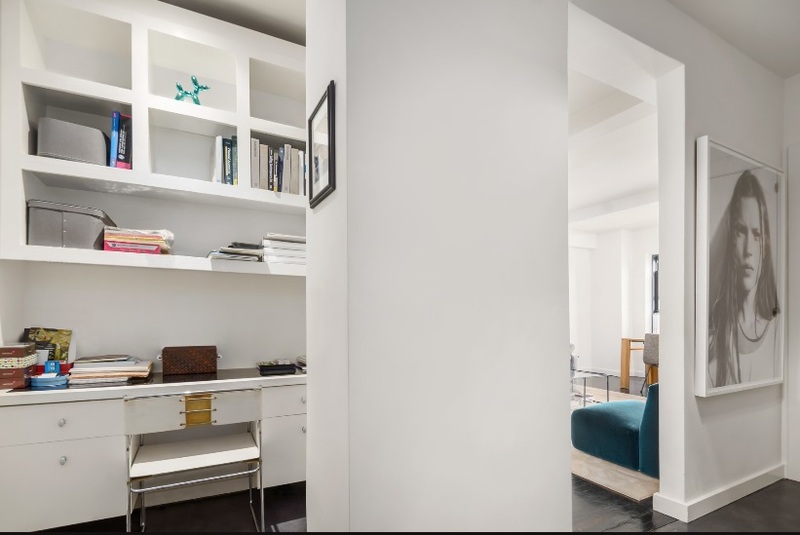 Across the foyer is the large, bright bedroom featuring ample closet space, all designed to maximize shelf storage and usage. 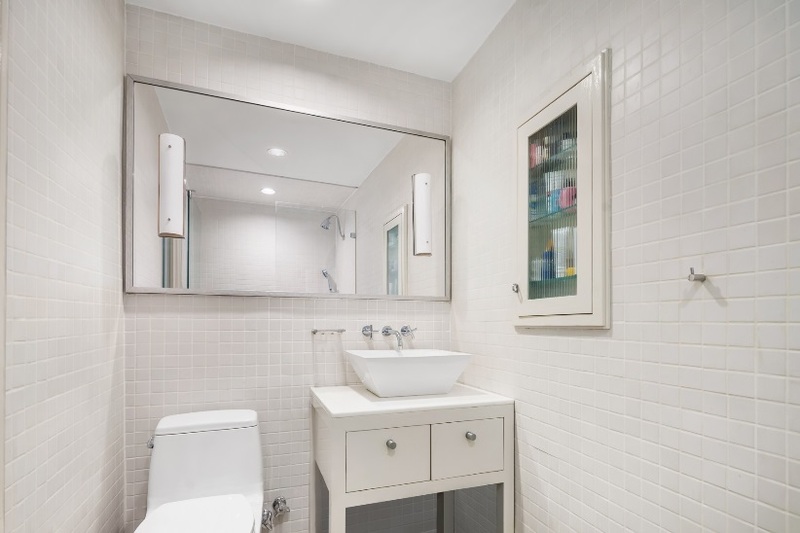 The en suite bathroom is redone with style and simplicity, with a stand up glass shower and a modern vanity. 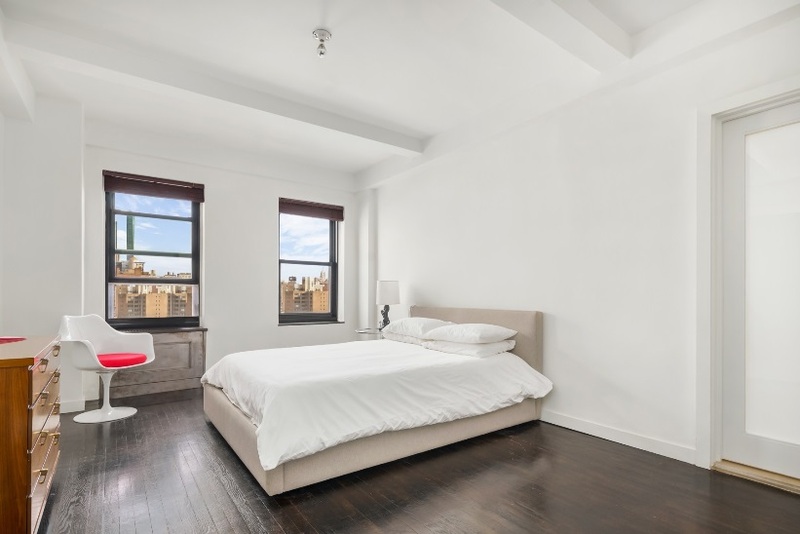 A full-service building, 300 West 23rd Street has been totally restored to period perfection, and has become Chelsea's single-most sought-after prewar cooperative. Perfect for Pied-a-Terre use and parents buying for children are allowed. Pets OK. Many Amenities: 24-hour doorman, live-in super, laundry room, bike room, storage space available for rent. 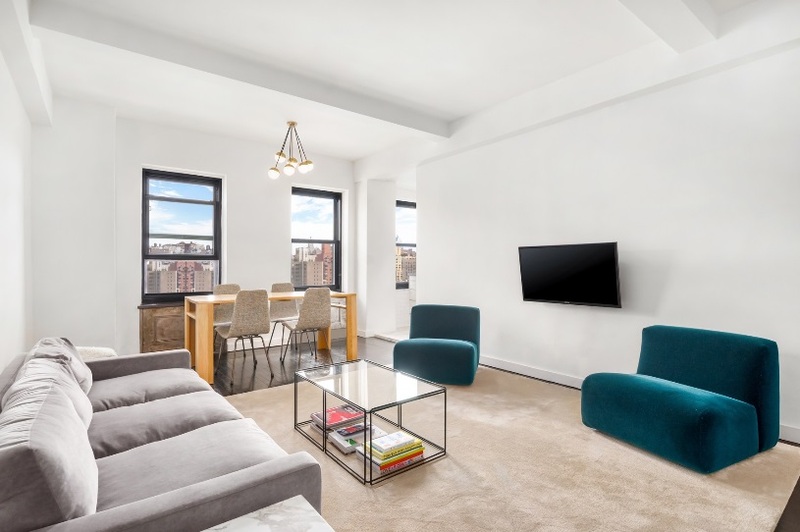 Located close to Chelsea's Art Galleries, the High Line, Hudson River Parks, Chelsea Piers, Chelsea Market, the Meatpacking District, the Whitney Museum, Avenues School, and Hudson Yards. Great Restaurants and high-end markets are also close by. Trader Joe's, Whole Foods, and Saturday Farmer's Market, the Eataly are all within a few blocks. Numerous transportation options include the C, E, 1, F, V, N, R, W, Path Trains, the West Side Highway, and nearby buses. 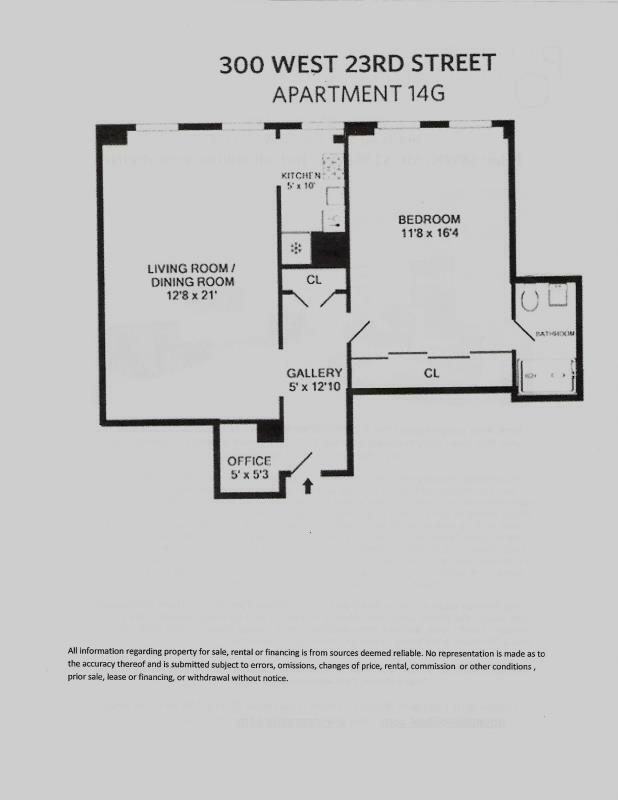 Price: $850,000. ; Maintenance: $2,001/month, Includes all utilities, even electric.